What is the difference between a strategic objective and a mission statement? There is a bit of a blurry line between mission statements and strategic objectives. Often clues to the strategic objectives are contained within a mission statement. Here are some notable vision/mission statements from history. Innocent: ‘Make natural, delicious food and drink that helps people live well and die old’. I like these because they are short, clearly carefully-considered, distinctive and you can see how a set of unique, and measurable, KPIs could spring up to support the statement. Newport News Shipbuilding and Drydock Company Mission Statement: ‘We will build great ships. At a profit if we can. At a loss if we must. But we will build great ships. 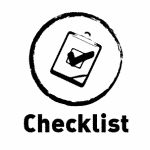 Checklist: Are your strategic objectives clear? Is each strategic objective articulated in no more than two sentences? Does the description of the strategic objective make sense? Are there any ‘woolly words’ or ‘management buzzwords’ in the strategic objective? Examples of words that don’t help include ‘synergy’, ‘excellence’, ‘outstanding’ and ‘empowerment’ - they sound great but are very hard to pin down. If there are, then these need to be removed or replaced with clear, simple phrases. If your strategy is not available in this form then you will need to have a session with the leaders in your organisation to make sure that you can distil the strategy into something suitable. Increase bank capital ratio to 11%. Reduce loss of life through road accidents by 50%. Become the biggest UK supplier of rubber ducks. Be the fastest-delivering mail order memory stick retailer. Have the widest selection of digital delivery channels in Europe. You need your strategic objectives in this very specific form to support the next steps in the ROKS process.